There are no downloads for this book just yet. If you are preparing for a job or promotion interview, you will find this book very helpful. It looks at the interview from the interviewee's point of view. Common questions which are often asked are dealt with and how to answer them. A workbook helps you put what you have learnt into practice and reinforces the knowledge in each chapter. In the current economic climate with jobs fewer and harder to get, this book will improve your chances of success. With the aid of this book Line Managers will be better able to manage their staff. They will also find all of the key skills of HR as appropriate to their need. The book focuses on key issues for Line Managers, such as Handling Employee Grievances, Handling Disciplinary situations, Individual and Team Performance Management made simple, Engagement and Change Management. This book helps the reader through the minefield of Bullying and Harassment and emphasises the need to strive for informal resolution of such difficulties as that is where best progress can be made. Those caught up in B&H situations will find within this book a clear guide to Best Practice behaviour. The Mediation and Investigation processes are also treated in a clear practical mode. 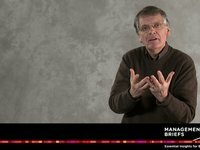 Impactful Presentations presents the essential knowledge and skill that Managers require for better presentations. It also improves how managers structure and deliver their presentations by providing many tips and suggestions that will enhance your presentations, such as those in the areas of better use of voice, eye contact, humour and overcoming nervousness. This book provides clarity around the essential knowledge and skill to carry out your role as Manager and Leader in the most effective manner possible. It concentrates on core skills such as personal leadership, sharing ownership and practical ways of visioning. The reader will find many practical tips within the core areas of the book – Engaging Staff, Supporting Team Effort and Envisaging Success. Practical and relevant, this book is a guide that will appeal to General Managers who want to develop their marketing knowledge and also to Business Owners who are looking to maximise the effectiveness of their investment in marketing. The book highlights practical ways of identifying and homing in on your particular market whilst also providing excellent treatment of digital marketing. 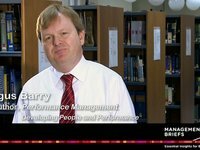 This book provides managers within organisations with all they need to know in respect of the key elements of Performance Management and its successful operation within organisations. The book is built around a simple model – D E F T – D = Dialogue, E = Expectations, F = Feedback and T = Timely Approach. The model shows how through successful dialogue about expectations a Team Leader can focus and motivate individuals and teams. Key personal selling skills are comprehensively treated in this book. Specific ways of developing new business and maximising sales are also identified. Readers will find most helpful insights on enhancing their skills of Qualifying, Influencing, Objection Handling and Closing. The reader will undoubtedly have their eyes opened to new ways of capturing those all important sales. This book will help you develop all the key skills within Project Management. You will plan and execute projects more effectively after reading this book. Specific project planning and execution tools are provided as well as key insights into building and leading an effective project team. The reader will also find practical ways of managing project costs. A Development Opportunity for You! This book provides focused assistance to those whose jobs have been made redundant. Advice for coping with the initial shock and taking stock is provided. Thereafter the book allows you to analyse your current situation and skills leading you to a career that matches those skills. The book provides treatment of interview skills that will greatly help as you try to influence organisations towards hiring you. Safety Matters! provides managers with the tools they need to grasp this complex subject. The message is simple - Safety comes from the top down and needs to be at the forefront of every manager's agenda. All of the required safety values and practices are covered and the book is suited to any manager who is faced with health and safety issues – and this is virtually all managers nowadays! Time Matters helps you maximise your time to achieve greater productivity not just in work but in all areas of your life. The book provides you with the tools needed to optimise your time and enables you to manage your schedules and stress. Find excellent tips on maximising your time and find out how to correct old habits. This book is a must for people who feel they have not enough hours in the day to complete their daily demands. FEEDBACK is the 'F' in the DEFT Model. 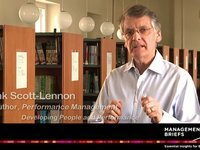 This is a summary video that talks about the DEFT model that is written about in “Performance Management - Developing People and Performance” which is written by Frank Scott-Lennon and Fergus Barry. 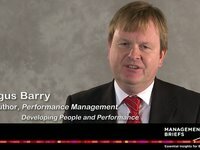 This book is part of the Management Briefs series of books. 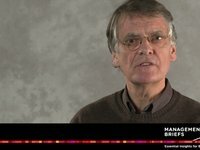 This is a summary video presented by Frank Scott-Lennon that deals with the importance of exploring informal resolution processes when bullying and harassment issues arise. This topic is dealt with in full detail in the book “Bullying and Harassment - Values and Best Practice Responses” which is written as part of the Management Briefs series. EXPECTATIONS is the 'E' in the DEFT Model. Join us at our half day 'Wellbeing for Business' conference on 29th April. The aim of this event is to help organisations put in place the Wellbeing Techniques that will enhance the individual and improve productivity through better quality thinking and focus. Our extreme busyness oftentimes gets in the way of good thinking and optimum decision-making; this half-day Conference provides help in these areas for individuals and organisations. This ManagementBriefs.com Conference aims to help organisations put in place the Wellbeing Techniques that will enhance the individual and improve productivity through better quality thinking and focus.